Why Choose a Z68 Motherboard? On the Z68 you are free to overclock both your GPU and your CPU together. It also allows you to to take advantage of your integrated processor graphics while outside of performance intense scenarios. An additional feature is Intel’s Rapid Storage Technology and Smart Response Technology. Smart response technology will allow you to get near SSD performance when used in conjunction with Intel’s 331 SSD. For additional information about Z68 and Smart Response Technology we highly recommend bit-tech’s article which provides a very useful and in-depth analysis. Now on to the part you’ve been waiting for, our Z68 motherboard picks. For this portion we’ll review 2 of the top rated Z68 motherboards and expand to additional motherboards as more are released. 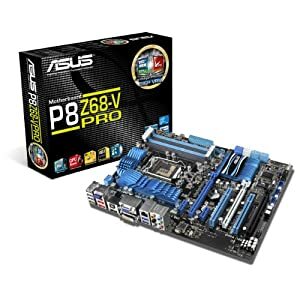 The bestselling Z68 motherboards so far in 2011 is the ASUS P8Z68-V PRO. Specifications for the P8Z68-V PRO include up to 32GB of dual channel supported DDR3 Ram at a max of 2200 (O.C.). 2 x PCI Express 2.0 x16 slots, 1 x PCI Express 2.0 x16 slot [black], 2xSata 3Gb/s 4 x Sata 6Gb/s, 6xUSB 2.0, 2 x USB 3.0, and Quad-GPU SLI and Quad-GPU CrossFireX supported. This motherboard from Gigabyte recently was given the Tweaktown Editor’s Choice award. 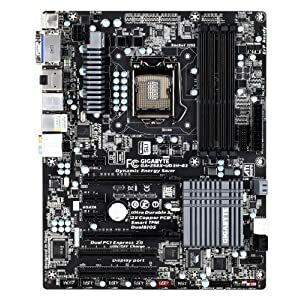 You know with Gigabyte that you are always getting a solid board but an additional recommendation for a new board is always comforting. Specifications for the GA-Z68X-UD3H-B3 include up to 32GB of dual channel DDR 3 Ram (4x240pin) at 2133/1866/1600/1333/ and 1066, 2 x USB 3.0 + 8 x USB 2.0, 4 x SATA 6Gb/s, 3 x Sata 3Gb/s, 2 PCI Express 2.0 x16, and 3 PCI Express x1. We hope you’ve enjoyed this article on the best z68 motherboards for 2011 thus far. We’ll continue updating this article as more are released, but if you come across another Z68 motherboard that you feel should be featured in this article, then please leave a comment below with your request. Also check out our other top ten lists in the tabs at the top of the page.